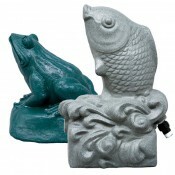 The Aqua Ultraviolet Statuary UV’s are attractive additions to the landscape of any small pond or water feature. The Fish and Frog are easy to retrofit simply by connecting to a submersible pump, the UV treats the water as it flows through the statuary body and the spitter returns the water in a steady steam to your water feature. Aqua Ultraviolet UV’s will clear your water in 3 to 5 days, sometimes overnight, and keep it that way. Performance is guaranteed when sized, installed and operated according to our instructions. To view the Replacement Parts Click on the "Download PDF" link to the right. Fresh Water Sterilizer 500-1200 gals / Flowrate - 1200 gph. 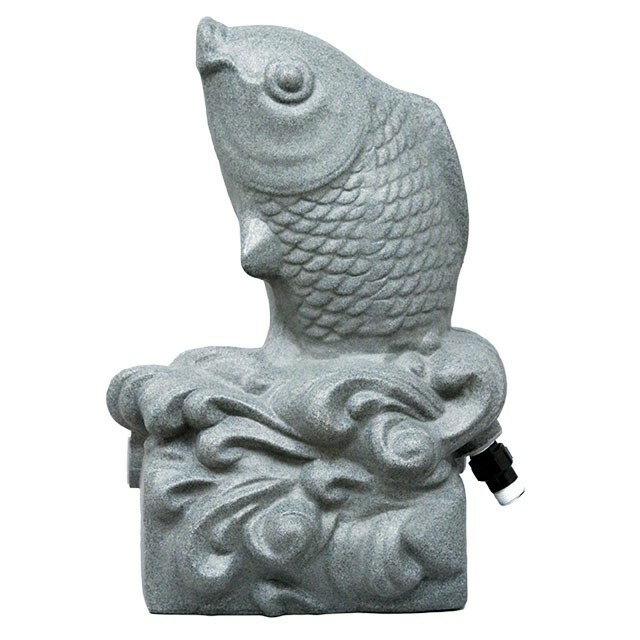 Fish Dimensions: 24" H X 16" W 11 1/2" D.
25 Watt Aqua Fish Spitter with UV 3/4-in. 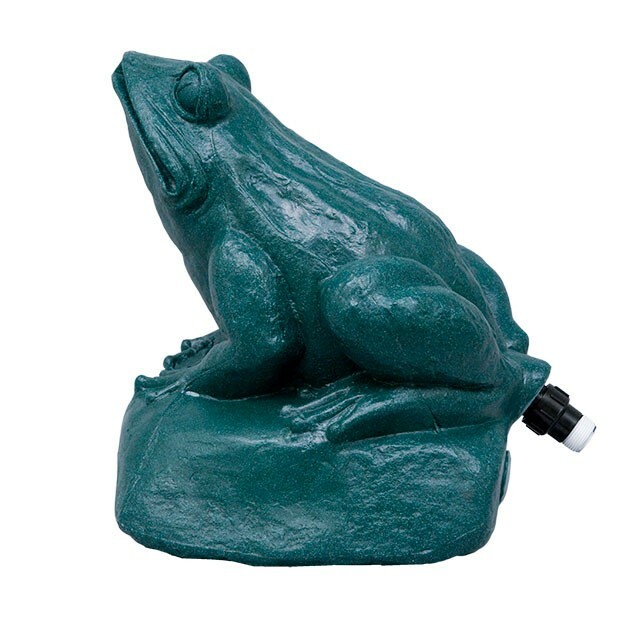 25 Watt Aqua Frog Spitter with UV 3/4-in.